Naples Dream Development Becoming Reality? 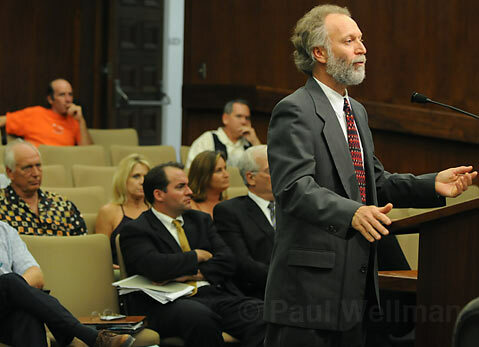 After yet another eight-hour day of deliberations on the subject, the Santa Barbara County Planning Commission approved Orange County developer Matt Osgood‘s controversial vision for the historic Naples property at the easternmost gateway of the Gaviota Coast. With a 4-1 vote (2nd District commissioner Cecilia Brown the lone dissenter) shortly after 6 p.m. on Wednesday, August 20, the commissioners gave the thumbs up to Osgood’s long-stewing plan to put 72 massive, multi-million dollar homes, an equestrian center, and dozens of assorted other structures that stretch from the foothills north of Highway 101 to the coastal bluffs on the largely undeveloped Naples property. The Planning Commission’s final vote on the Naples project – which looks to spread the dozens of luxury homes throughout both Osgood’s property and the neighboring Dos Pueblos Ranch – was not expected to come until August 27. But the commission decided late last week, at the end of their August 13 hearing, to hold an extra meeting on the subject on August 20 in hopes of arriving at a decision sooner rather than later. After their eighth full-day Naples-centric hearing in less than four-months, the five-member board did just that. While commissioners Joe Valencia, Daniel Blough, and C.J. 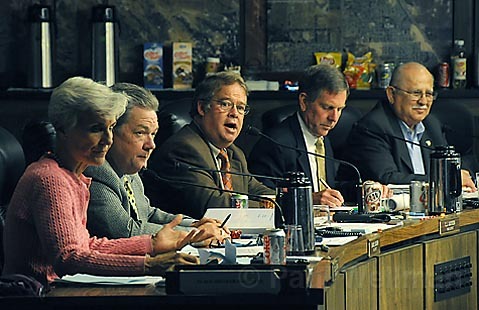 Jackson (in whom’s district the project resides) all spoke glowingly of the plan before casting their final vote, it was the show of support from the 1st District’s Michael Cooney, who had been an outspoken critic of the project for much of the hearing process, that came as the biggest surprise. Because an antiquated though legal Naples map identifies more than 200 lots on the property allowed Osgood to threaten selling off individual properties whenever he didn’t get his way, Cooney explained, “We didn’t have the choice of denying this project altogether because of the hand we were dealt.” Commissioner Jackson, however, said that he would have supported the McMansion-ization of Naples even if the nearly 100-year-old map and a related memorandum of understanding with the county didn’t exist. Additionally, prior to approving the project, the commission – in a gesture that Naples Coalition lawyer Marc Chytilo called “absolutely crippling” – voted 3-2 to recommend that Osgood be allowed to build his project in phases. 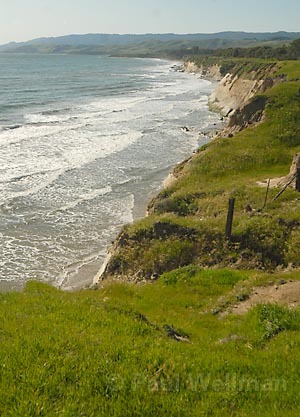 That will allows the building of the roughly 50 inland mansions to commence even if the highly controversial bluff-top homes get held up at the California Coastal Commission, the state agency that has final say over all seaside development with the state’s Coastal Zone. 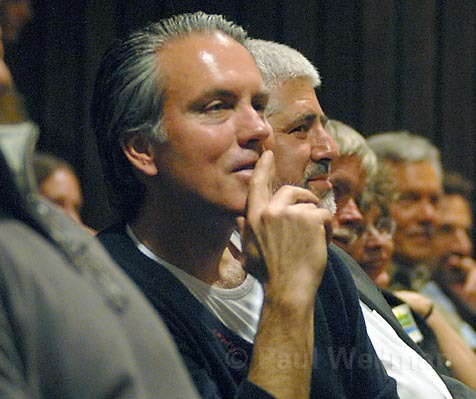 Chytilo concurred, admitting on Thursday that he was “still reeling from the debacle.” It should also be noted, despite the undeniable significance of Wednesday’s hearing, most major news agencies were not in attendance and neither were the standingroom-only crowds of public speakers that have come to be the calling card of most Naples hearings – especially those where actual votes are being taken.